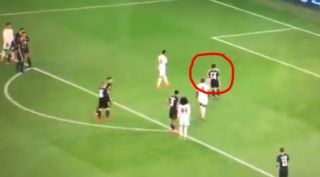 One fan has tweeted this video that highlights the important thing Manchester United midfielder Fred did before Marcus Rashford struck home his penalty against Paris Saint-Germain. If you watch carefully, PSG players can be seen trying to approach the penalty spot, presumably to try mind games to put Rashford off before taking the crucial spot-kick. Fred, however, is quick to act and prevent their antics from distracting Rashford. The England international ended up putting away his effort with supreme confidence, so well done Fred for spotting the danger with this important and underrated intervention!